The mouth area undergoes a lot of changes that can contribute to nasolabial folds, marionette lines, smoker lip lines and a downturned mouth. Volume loss plays a major role in these changes. Replacing this volume can have a profound impact in rejuvenating the aging mouth and the YoungVitalizer is our approach to improving this area. Fat injections are a great way to do this and other fillers can help as well. Sculptra can help if fat is not available. Fat and Sculptra are good options for permanent or semi-permanent effects. By this, I mean results that last more than 1 year. 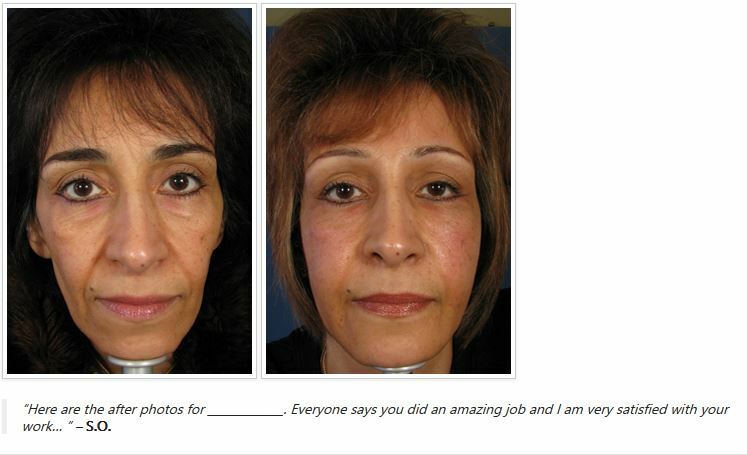 The picture below shows the locations of the nasolabial folds, marionette lines, and prejowl volume loss. All of these issues can find their origination from volume loss to a large degree. For the nasolabial folds, there are studies that show specific fat pockets that when re volumized can play a major role in eliminating nasolabial folds. Specifically the area lateral to the nose and immediately deep to the most medial and superior area of the nasolabial folds is the area where re volumizing can play a big role in reversing nasolabial folds. Furthermore volumizing in the whole area inside the nasolabial folds and marionette lines can rejuvenate the peri oral and mouth area. Volumizing in the area immediately medial to the marionette lines can diminish these lines. Volume in the prejowl area will blend this area in a more pleasing way with the jowls and in turn make them seem less apparent. This is in line with the whole idea of doing prejowl implants with facelifts to improve the jawline. Also volumizing the chin can restore this whole area as well and give support for the other areas that are volumizing. One important thing that I have learned is that volumizing other adjacent areas can help support other areas by aiding in the volume expansion. An example is if you place on stake in the ground and place a very heavy tarp over this stake. It is more likely that you will form a nice area under that tarp the more stakes you put under the tarp. It is also more helpful the more stakes you spread out in the area to give the original stake support. Volumizing the chin is analogous to this idea. When you volumize the chin it supports the volume you put in the prejowl area as well. More likely than not your chin has lost volume as well and volumizing deep to the chin will rejuvenate your lower third or lower mouth area. Also people are likely to develop deep wrinkles in the labio mental sulcus which is the crease that is under the lower lip. Volumizing deep in the chin just inferior to this crease will help to eliminate this crease. This entry was posted on Saturday, February 13th, 2010 at 6:34 pm	and is filed under Chin Surgery, Fat Transfer / Fat Injections, Fillers / Facial Fillers, Lip Augmentation / Lip Fillers / Lip Injections / Lip Reduction / Lip Grafts / Lip Advancements / Fat Injections of the Lip, Mouth Shaping / Perioral Enhancement / Marionette lines, Sculptra, YoungVolumizer. You can follow any responses to this entry through the RSS 2.0 feed. Both comments and pings are currently closed.